Waterlogged streets, fallen trees, standstill traffic, delayed meetings, damp clothes, broken chappals and lost umbrellas – none of these sounds like the charms of monsoon that are often depicted in poems and film songs. For city dwellers – particularly people who have to commute long distances every day – the rainy season comes with its own set of woes and chaos. Along with it also come the monsoon illnesses. One of the common skin problems in monsoon is fungus or athlete’s foot or ringworm. This happens because of continuous soggy skin and unhygienic socks and footwear. Some people have the habit of changing socks and inner wear once in two or three days and this must be avoided at all costs. Dampness and friction is required for a fungus to form on the skin and these unhygienic practices can actually lead to a lot of harm. Those prone to fungal infections, anti fungal dusting powders can be used regularly without any side effects. Keep your skin dry after you get wet in the rains. Remember to wash all clothes properly and dry in the sun. If one has to dry in the shade, then you should preferably press all your clothes with a hot iron and then wear. Bathing with lukewarm water and using anti-fungal creams, soaps and talc will prove to be effective in combating fungal invasion. Cleanse the skin: The skin should be cleaned three to four times a day with non-soapy face washes. This helps to clean excessive oil and dirt from the skin pores and helps it breathe. Skin toning is essential: Non-alcoholic skin toners should be used to tone the skin twice a day to maintain the skin’s pH balance. Toning revives the skin and gives it an impeccable sheen. 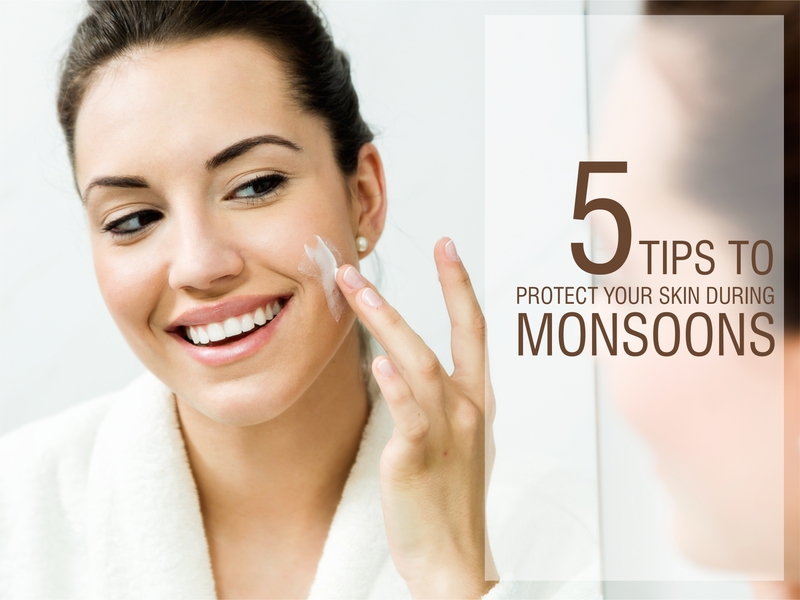 Keeping dry skin moisturised: If your skin appears to be dry, use a good moisturiser. Application of rose water, glycerine or almond oil before retiring to bed is beneficial and keeps skin supple and healthy. Keep oily skin clean: If you have dry skin and have visible whiteheads or blackheads, try to minimise oil secretion from the skin by using water based moisturisers, cleansers and by applying citrus face packs. Drinking a lot of water also helps in reducing oil production. Shield your skin: Just because it’s cloudy, does not mean your skin is protected from the sun. It is highly important to guard your skin from the sun’s harmful UV rays, so always use a good sunscreen with a high Sun Protect Factor. Cleanse the skin, dry skin, fungal invasion, moisturised, oily skin, Shield your skin, Skin toning, skin’s pH balance, Sun Protect Factor.